Disney’s Animal Kingdom opened on April 22, 1998 and is currently celebrating its twentieth birthday year with lots of magic and amazing experiences. The park focuses on teaching guests about the importance of conservation and preservation through entertaining attractions and shows that also showcase the beauty and diversity of nature. Guests who want to enjoy all that Disney’s Animal Kingdom has to offer have plenty of options in terms of their touring plans, however there are plenty of insider tips, tricks, and secrets that can help them ensure that they are making the most out of a visit to the amazing park. From enjoying special locations off the beaten path to noticing small but amazing details, there are plenty of things that all guests should enjoy when in the park. Here are the thirteen best tips, tricks, and secrets to follow when visiting Walt Disney World’s Animal Kingdom. The best way to ensure that guests can see as much as possible in Disney’s Animal Kingdom is by arriving right when the park opens. One of the most popular areas in the park is Pandora – The World of Avatar and guests should plan on heading straight there in the morning and getting on line for the Na’vi River Journey. 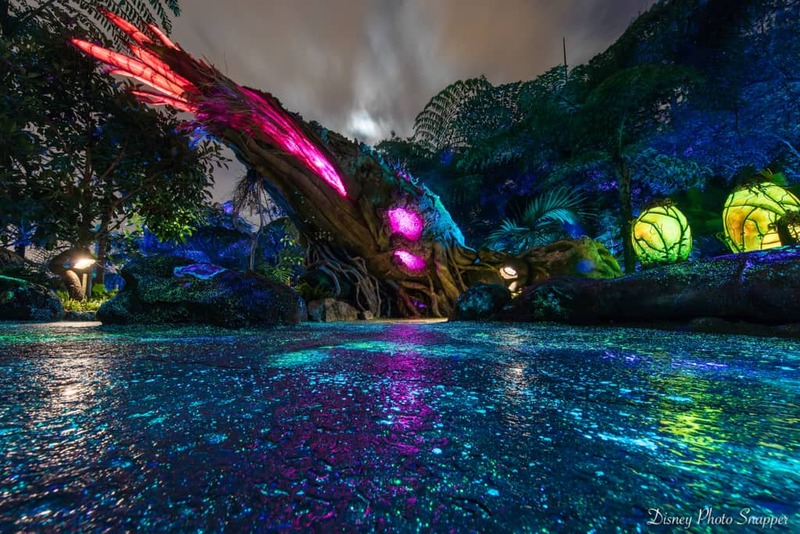 This beautiful attraction has guests board a boat and set sail in the bioluminescent forests of Pandora where they can spot all sorts of mythical creatures and the Shaman of Songs. Also found in Pandora – The World of Avatar is an extremely popular attraction that often boasts the longest wait times in all of Walt Disney World. 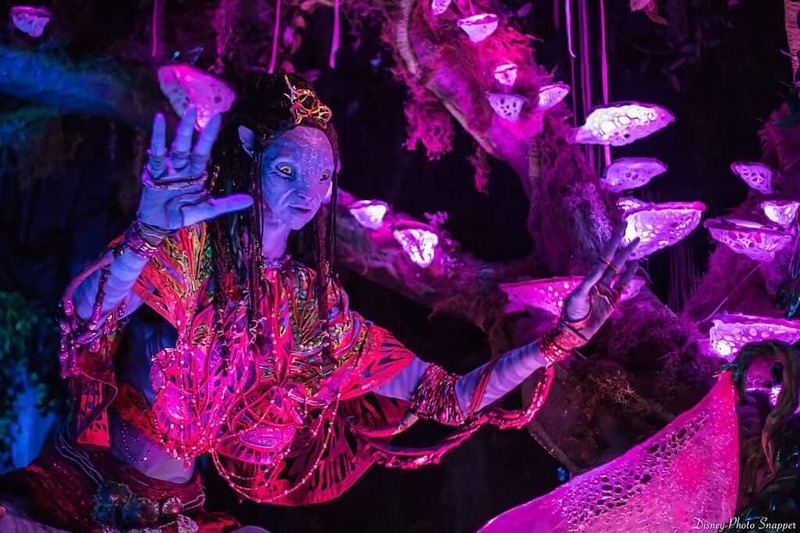 Avatar Flight of Passage invites guests to link to an Avatar and soar on the back of a banshee in a traditional rite of passage of the Na’vi people. Since Avatar Flight of Passage is so incredible, it often boasts lengthy wait times that can be avoided by booking a FastPass as far in advance as possible. The Africa section of Disney’s Animal Kingdom is home to a great attraction that brings guests on an authentic safari in the Harambe Reserve. Kilimanjaro Safaris travels through the forests and savannahs of Africa where guests can enjoy up close encounters with animals such as giraffes, elephants, lions, rhinos, hippos, and more. Enjoying a ride on Kilimanjaro Safaris in the morning is ideal as the animals are eating breakfast in their habitats and enjoying cooler temperatures. Guests should also plan on returning to Kilimanjaro Safaris once the sun as set to catch a glimpse of nocturnal animals such as the lions being more active. A popular full service restaurant in Disney’s Animal Kingdom can be found in the Asia section of the park. 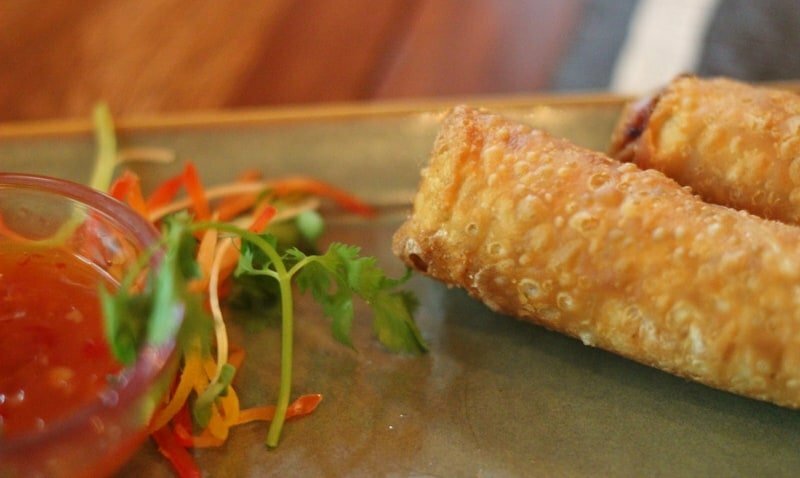 Many guests love to enjoy a meal at the Yak & Yeti Restaurant for lunch or dinner, but many don’t know that the restaurant features an exclusive club that can help them score a table with no reservations. Yak & Yeti Restaurant is part of the Landry’s chain and guests can join Landry’s Club to enjoy special perks such as access to tables with no reservations. Being a Landry’s Club member also entitles guests to discounts and rewards that can be applied to any meal at the delicious restaurant! One of the most thrilling attractions in Disney’s Animal Kingdom dominates the skies of the Asia section of the park. 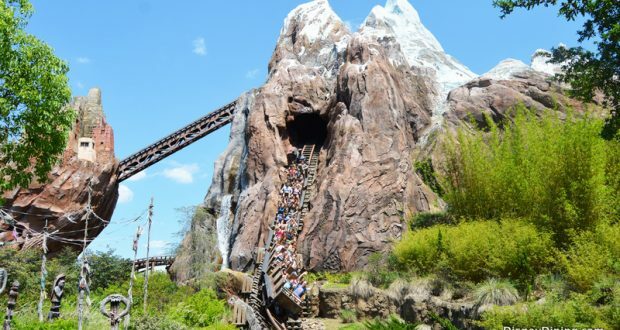 Expedition Everest brings guests into the Forbidden Mountain where they find themselves scrambling to escape the clutches of the Yeti. This popular attraction can often have long wait times, but guests who don’t mind their party being split up can opt to use the single rider line which typically has a much shorter wait time. One viewpoint in the Asia area of Disney’s Animal Kingdom looks out at Expedition Everest in the distance and features a small temple and prayer tokens left by patrons. Many guests might have noticed the temple, but might not have realized that its unique shape was purposely crafted to mirror the peaks of the mountain range that Expedition Everest is part of in the distance. 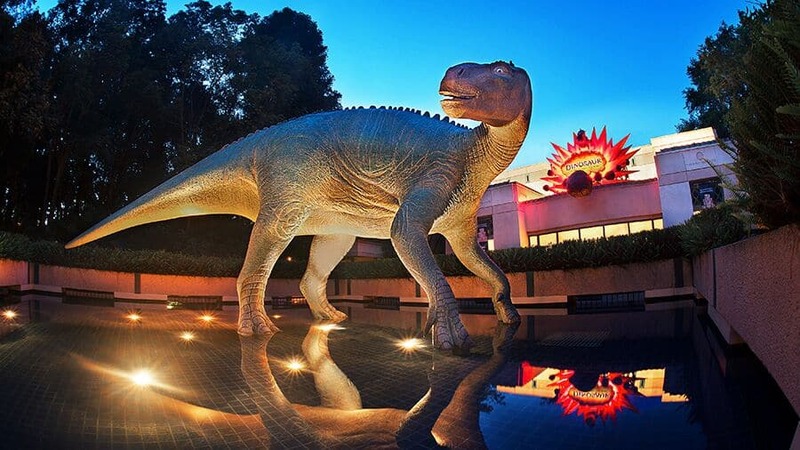 Dinoland is home to the thrilling Dinosaur attraction where guests are invited to travel back in time to bring a particular dinosaur back with them to present day. Unfortunately, guests end up a little too close to the massive asteroid impact and there are plenty of close encounters and thrilling moments in near darkness. Guests who want to enjoy Dinosaur without spending lots of time waiting on line should opt to book a FastPass for the popular experience. A great way to spend some quiet moments in Disney’s Animal Kingdom is to explore the Discovery Island Trails which can be found around the base of the Tree of Life. Just before passing through the large doors that lead into the Africa section of the park, guests can take a right and find themselves on quiet trails that show off beautiful views of the intricately carved roots of the Tree of Life as well as the water surrounding it. Nighttime in Disney’s Animal Kingdom is beautiful in part thanks to a wonderful show that brings Discovery River to life. Rivers of Light is a combination of music, projected animation, pyrotechnics, special effects, and live acting that come together to showcase the beauty and power of nature. While there is plenty of seating in the large arena for the show, guests who want to ensure that they have the perfect view should opt to book a FastPass for Rivers of Light which entitles them to sit in a preferred viewing section. Disney’s Animal Kingdom is also home to some amazing live entertainment that definitely cannot be missed on a visit to the park. The Festival of the Lion King is hosted in the Harambe Theater section of the park and brings the story of Simba to life through acrobatics, aerial ballet, fire dancing, and more. 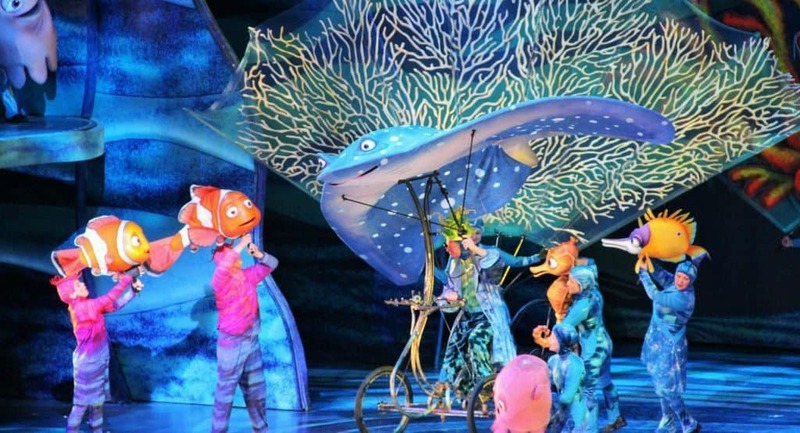 Finding Nemo – The Musical can be found in the Theater in the Wild in the Dinoland area of the park and uses larger than life puppets and special effects to bring the story of Nemo, Marlin, and Dory to life. While there are plenty of amazing quick service and full service dining locations in Disney’s Animal Kingdom, a great way to enjoy all that the park has to offer in terms of food is by snacking on delicious small bites. The pathway that connect the Africa and Asia sections of the park is home to many small caravans and booths that serve up delicious food items such as a Pimento-Cheese BLT Sandwich and French Fries with Sriracha and Tzatziki. Once night falls in Disney’s Animal Kingdom, the park is transformed by beautiful lighting and special moments. Guests who gather in front of the Tree of Life can enjoy the Tree of Life Awakenings which are special vignettes that depict the beauty and diversity of nature through projections directly onto the Tree of Life. Some vignettes feature familiar music and others feature gorgeous scenes where animals seem to come to life directly from the trunk and roots themselves. Nighttime is also beautiful in Pandora – The World of Avatar as the entire area comes to life with beautiful bioluminescent lighting that is otherworldly. The floating mountains above become even more impressive and guests can enjoy the gorgeous atmosphere of Pandora’s unique ecosystem and creatures as they glow and light up the night! Guests who visit Pandora – The World of Avatar at night should also be on the lookout for a PhotoPass opportunity where they can have an amazing photo memory of the beauty of the land at night!